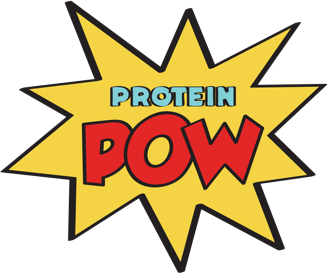 I’ve been experimenting with protein from Bodybuilding Warehouse these days, mixing this with that, seeing what rises and what doesn’t, what goes with what and, basically, just playing around with different powders. I baked a bunch of sweet potatoes to use in baking and pancakes a few days ago and decided to try mixing a bunch of randomness and: AAAAAA!!!!!! What a discovery this was! It involved just a few main ingredients, make, make, make! 1. Blend all ingredients together and then whisk it for a good 2-3 minutes so the egg whites gain some volume. When I took them all out, they were really light and airy, like a souffle, but, after a while, they began deflating. I let them cool for a bit and then integrated almond butter to the muffins and cut the mini-bread one (which had flattened) horizontally before filling it, like a sandwich, with AB. The result just made me wish I had baked it all in a flat mold and cut the whole thing horizontally so small squares could ensue but, waaaa, yeah, whichever way you decide to bake this, be ready to end up with absolute DELICIOUSNESS!!!!! Both the muffins and the ‘sandwich’ were super light and airy, yet moist and soft and almost butter-like [click on the pics]: woop woop! :-)))) (needless to say, they were devoured post workout, hehe).